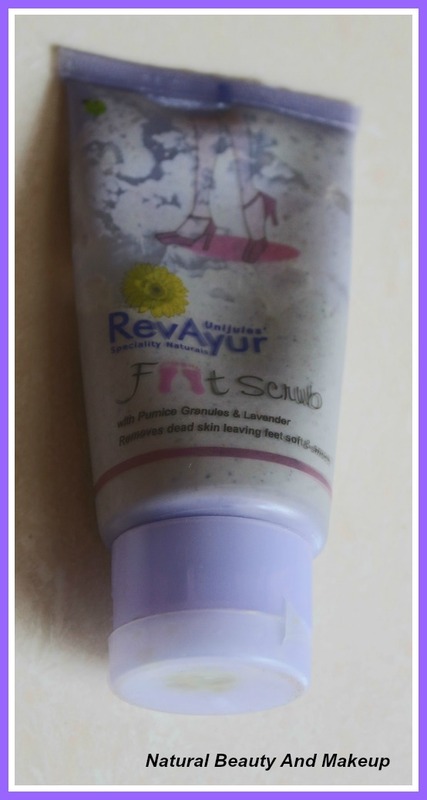 The foot scrub comes in a lavender or light purple coloured tube with a flip top cap. 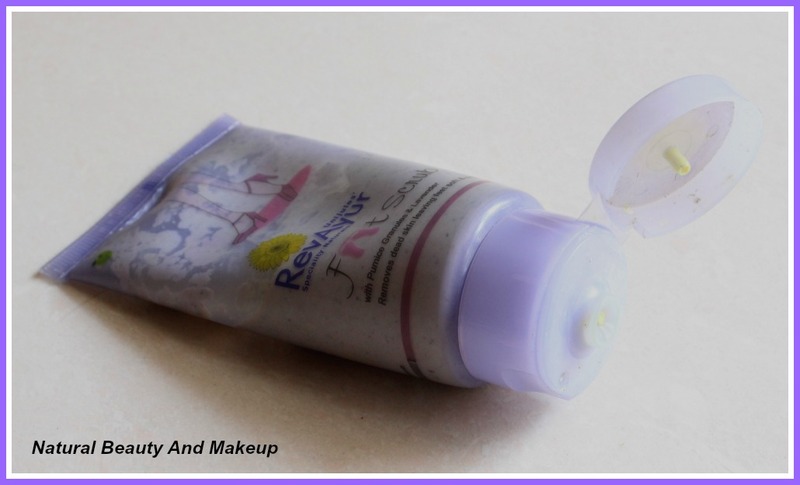 The tube is transparent so you can easily see how much product is left behind. The cap is tight and firm so it’s easy to carry along anywhere. The overall packaging of this scrub is beautiful with a feminine touch. All the details related to the scrub are furnished at the back of the tube. The scrub has pumice granules and lavender in it. It is yellowish in colour and creamy in texture. The granules are not abrasive in nature. Despite being of thick consistency it smoothly spreads onto the feet.On application, it releases a faint scent of lavender but vanishes after some time. For the last two years, I have been using this product,it’s my second tube. Usually, I apply homemade scrubs; however I’ve kept this product for those lazy days. I was looking out online for some skincare items when I stumbled on this foot scrub. The main reason behind purchasing this scrub was the design, it's ultra feminine! The key ingredients in it are pumice granules and lavender. Pumice granules give a good scrubbing effect and help in eliminating rough spots &flakiness from the soles while lavender acts as an anti-bacterial, invigorates tired feet, soothes and relaxes senses. 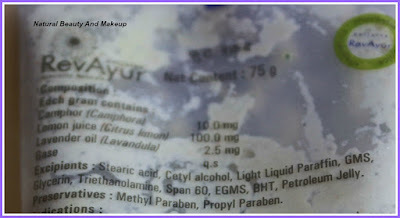 Apart from these, it also contains camphor, lemon juice and not to forget parabens as preservatives! Generally, I do research before buying any item online but I bought this without any second thought. And surprisingly, it amused me! Every time, I exfoliate my feet with this scrub; it leaves the feet clean and soft. My overall experience is good with this scrub. Usually, I soak my feet first into the warm water before exfoliation process, and then I apply a coin-sized amount of this scrub to the feet, followed by a gentle massage. After a few minutes, I wash it off with plain water. 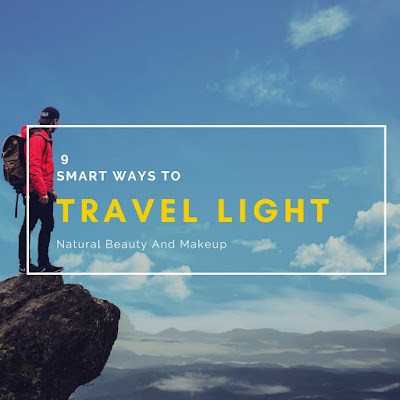 Without putting too much effort, it sloughs away the dead skin cells and relaxes my tired feet which I find really amazing. Post usage, my feet feel much softer and smoother.Though,sometimes it doesn’t act that great on my extremely dry chapped heels. Post wash, I need to apply my homemade moisturizing foot care lotion (this DIY recipe I’ll share soon) to keep the feet more nourished and as usual wear cotton socks before hitting the bed. Mild scrub so can be used daily. For dry skin beauties, it must be followed by a good foot cream/ lotion. Though RevAyur claims to be ayurvedic and all natural, it has chemicals as preservatives. Being completely an organic product user, you might hesitate to use this. However, I like the fact about this foot scrub is, it’s decently priced while still being of high quality. 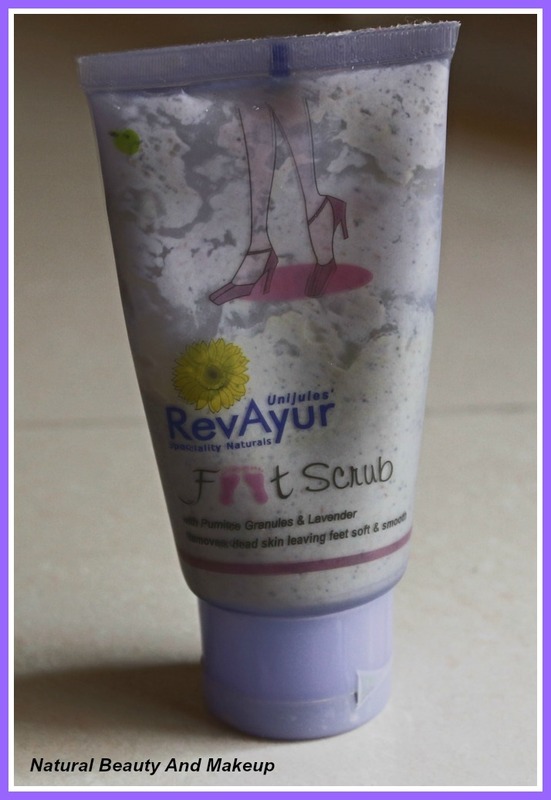 So ladies, if you are looking for a reasonably priced good quality foot scrub for daily use, then you can surely give this a try. Hope you will find this review helpful. Have You Ever Tried This RevAyur Foot Scrub? If Yes, Please Share With Me In The Comment Section Below. Absolutely right Swathi :) Thank you so much. My recent post: NYX Soft Matte Lip Cream 'San Paulo' Review, Swatch, FOTD !! Sounds interesting with camphor & lavender! Nice Review! I think my feet so desperately need foot scrub. It is quite affordable. Yes it is very reasonable Alisha, you can try this :) Thanks dear. 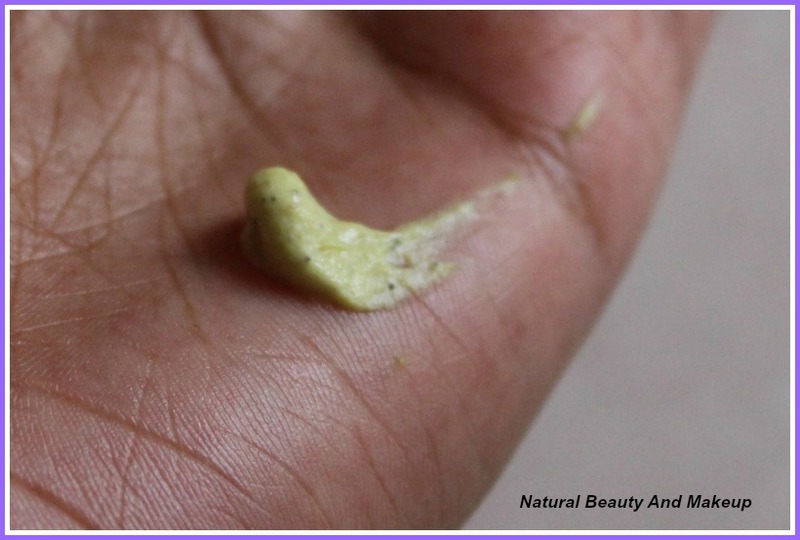 Anamika I really wanted to try out a good and affordable foot scrub and this one seems to be a steal.The fact that it is ayurvedic and free from harmful chemicals is tempting me to try it out.Nice review. Great review, Anamika. I've just ordered a foot scrub from Vaadi herbals. Once I finish using that, will go for this. It has been long time since I had a pedicure! !